This "St. Therese" rosary measures 19" long. 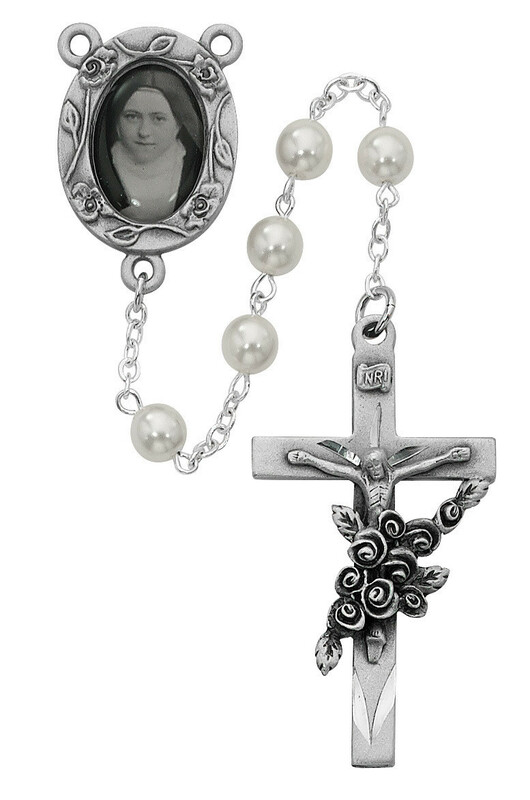 The beads are a 6mm European glass pearl with a pewter St. Therese photo center and crucifix. Roses surround St. Therese's image at the center and also accent the crucifix. The words "St. Therese Pray For Us" are engraved on the back of the crucifix. Gift box included.